Hot dipped galvanized temporary fence for Australia from china factory-Welded Mesh Construction Temporary Fence. Temporary fencing is mainly used on the city road, the highway, pool, garden, security of building etc, it is for stopping the crowds, animals and vehicles etc. Variety: welded mesh fence, chain link mesh fence, expanded metal fence etc. Finish of surface: hot dipped galvanized, electro galvanized, PVC coating, PVC spraying, PVC after galvanized, paint spraying etc. Characteristics: even surface, firm welded structure, precise opening etc. It has the good properties of corrosion-resisting, oxidation-resisting, weather-resisting and aging-resisting. Specification: 2300 x 2000mm , 2200mm x 2000mm etc, we can do the specification as per customer’s requirement. Construction Site panels form a high security barrier 2.0m tall and are usually supplied with the exclusive Anti Trip, sloping sided concrete blocks for support. Other types of support are available also. The panels, once set up may be wired together or clamped for extra stiffness. Typical uses for these high security panels are major construction sites, house sites, deep excavation sites, electrical installations, and in fact anywhere requiring that ‘extra’ security. Public Works Panels are 1.0m high, orange ‘high visibility’ are supplied with hooks and eyes which make interlocking an easy task and usually do not require extra ‘feet’ as they support each other in most situations. However flat plate inserts are available when required. Available in 2.4m and 1.2m long panels, these panels are usually hired on a per metre per month basis. Long or short term hire is available, as well as outright purchase. Portable Stock Yards are for Cattle, Horses, or and other types of livestock, like Alpaca . Stockyard panels are an ideal product for both fulltime and hobby farmers. Whether you need permanent or temporary yards, the portable, modular design means you can begin with just a few panels ,and then ‘grow’ your yards as your stock numbers increase. Crowd Control Barriers are designed to suit many applications. From sporting events, to contractors wanting to restrict public access to areas under construction. Barriers may also be used as mobile partitioning within industrial buildings, workshops, and warehousing situations. Although we list two standard sizes, barriers may be manufactured to order. 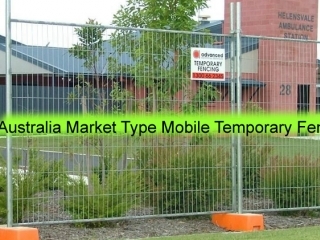 Welded mesh is one of the most popular fence material we use for construction of temporary barriers. We supply hot dipped galvanised temporary fence made of steel tubes welded with frame and infilling panels, and base feet. The temporary control system is a hollow section steel fencing used to secure traffic and events. Surface treatment: hot dipped galvanized 300g/sm zinc; or hot dipped galvanized + painted. Three types of bases: bridge feet, cross feet and flat feet type.